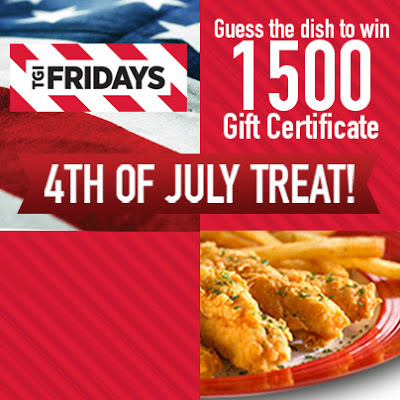 THE PICKIEST EATER IN THE WORLD: TGIFRIDAYS "GUESS THE DISH" POPUP GC GIVEAWAY! I'm holding a really quick "Pop up" Giveaway for you guys, that'll give the winner P1,500 worth of GC's From TGI FRIDAY'S! You have today until just before the clock strikes 12 midnight of July 5, 2013 to enter! and order that same dish! Also, want to double your chances of Winning? Click here to Enter Rina's Rainbow's similar giveaway here! Wanna Triple your chances of winning? 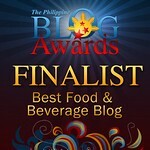 for yet another P1,500 worth of GC's! Wanna do it old school?? Follow the instructions on Rafflecopter! Chicken fingers with french fries ! YUMMY! oh, by the way, your tweet link is still on the Outback giveaway. Chicken Fingers, I like mine with the honey mustard dip! Chicken fingers with french fries.. It's TGI Friday's Chicken Fingers! The dish on the photo is called Chicken Fingers!